Artificial grass has bright appearance, four seasons green, vivid, good drainage performance, long service life, low maintenance cost and so on. Therefore, the utilization rate of artificial grass is higher and higher, the scope of use is more and more extensive. However, in the daily use of how to maintain and maintain in order to give play to the maximum value of artificial grasss? 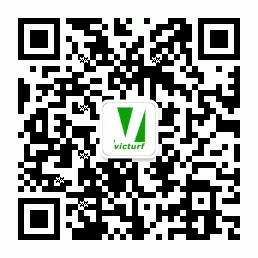 Below JIANGSU VICTURF CO.,LTD manufacturer and everybody to share the knowledge about artificial grass maintenance and maintenance. 1. For a period of six to eight weeks after paving, it is necessary to clean the artificial grass every week and sweep the gravel evenly to ensure that the grass stems stand upright and the gravel is even, with the aim of maintaining the gravel height at 18 to 20 mm. 2. Do not trample immediately in case of snow, need to clean the surface of the surface after the use of snow floating. 3. The artificial grass should be rinsed with water between 3 and 6 months after use to maintain its primary color, so that the quartz sand can be properly settled and the grass should be protected stably. 1. Leaves, pine needles, nuts, gum and so on can cause entanglement, spots and stains, especially before exercise. Damage to artificial grasss caused by such foreign bodies should be avoided. 1. External sewage should be prevented from seeping into the grass and washing into foreign bodies. During the construction of the grass on the edge of a ring edge stone (road edge stone, can prevent sewage infiltration. 1. The artificial turf sports ground shall be used only for physical education and athlete training competitions and shall not be used for any other purpose. Professional sports shoes shall be worn in the course of entry. 2. No cigarette butts, fire, soaking sugar, organic solvents, chemicals into the field. 3. It is forbidden to wear 7mm long spikes on the grass. 7. Shot put, javelin, discus or other high-fall sports are prohibited on the grass. A Summary of advantages of Special artificial grass in KindergartenAt present, there are more and more kindergartens in China, and parents have higher and higher requirements for the environment of kindergartens, so many kindergartens have begun to lay artificial grasss. Because the kindergarten artificial grass is a little too much than the natural grass, such as no bugs and so on. 1. The maintenance cost of the special artificial grass in kindergarten is lower than that of the natural grass. The dust and dirt on the surface can be removed only with a large amount of clean water, and it has the characteristics of not fading and deforming. 2. The special artificial grass of kindergarten can be installed on all kinds of basic surfaces, unlike the natural grass, its basic quality requirement is not high, and it is not afraid of cracking, without the worry of foaming delamination, which is simple and economical. 3. Kindergarten artificial grass, artificial grass material environmental protection, like Yi Hua artificial grass is guaranteed by Chinese people's insurance, big brand quality is reliable. Finished product construction, the time limit is fixed and short, the quality is easy to master, the acceptance is simple, does not need too much specialized knowledge. 4. The utilization rate of artificial grass is higher than that of natural grass. It has the characteristics of shock absorption, no noise, safety and non-toxicity, elasticity and good flame retardancy. It is suitable for use in kindergartens and all kinds of schools. Is the best current activities, training, competition site laying materials. 5. The overall layout of artificial grass sports field is beautiful, the utilization rate is high, the life span can reach more than 10 years, and it is durable and easy to maintain, and can be used continuously all the time. The shape completely simulates the true grass, has the greening feeling; the variety is complete, the grass length may also according to the actual use choice. 6. The whole field material all accord with the environmental protection request, the artificial grass surface layer can be recycled and reused. 7, artificial grass takes the concept of safety and protection, so can avoid sports injury. It provides sufficient buffering power to reduce the damage that can be caused by the general hard-to-foot, leaving you completely free of the concerns that arise from the field. 8. The artificial grass marking in kindergarten is made directly, and it does not need to be vexed for frequent marking, so it is easy to maintain, and there is no cost of subsequent repair. 9. The base is not bonded to the artificial grass layer. When the service life of the surface layer expires, only the artificial grass layer needs to be replaced, and the reinvestment cost is low. After planning the playground into a plane, there are no irregularities, and this new structure has the function of reducing vibration and decompression, reducing the noise in the playground and reducing the interference to the class. Last ：2018 JIANGSU VICTURF CO.,LTD Table Tenni..